A school voucher lobbying group flew N.C. House Speaker Thom Tillis and 10 other lawmakers to Miami in March despite a state law banning lobbyist gifts to lawmakers. Within a month of what was billed as an educational trip by Parents for Educational Freedom in North Carolina, the group’s political action committee also sent thousands of dollars to help several of the lawmakers’ re-election campaigns. The March 14 to 15 trip to the Miami area was for lawmakers to learn about Florida’s Tax Credit Scholarships Program, a controversial initiative that gives dollar-for-dollar state tax credits to encourage companies to donate scholarship money for low-income children attending private schools, according to Darrell Allison, the director and chief lobbyist for Parents for Educational Freedom (PEFNC). But Bob Phillips, director of the government watchdog group North Carolina Common Cause, suspects the trip was part of a lobbying strategy to convince lawmakers the Florida voucher program could work in North Carolina. Allison seemed to concede the same point in a March podcast interview he gave shortly after the trip with redefinED, an education reform blog. He was asked if tax credit scholarship legislation would be filed soon in North Carolina. The bipartisan group of lawmakers on the $8,300 March trip only heard from proponents of the controversial Florida program, according to an agenda provided by PEFNC to N.C. Policy Watch. Absent from the trip were teacher’s groups and others in Florida who criticize the tax credit scholarship program for diverting needed funding from the public schools to send children to private, often religious, schools that don’t have to meet state standards. A highlight of the North Carolina lawmakers’ Florida trip was a $500 luncheon with former Florida Gov. Jeb Bush at the Biltmore Hotel, a 150-acre tropical resort in Coral Gables, Fla.
Bush is a major figure in the conservative education reform movement, and now heads the Foundation for Excellence in Education, a think-tank seeking to overhaul the country’s educational systems through policies like ending teacher tenure, expanding the use of charter schools and school vouchers, and the increased use of virtual education. The N.C. lawmakers also heard from Florida legislators who supported the tax credit program and businesses that benefited from it. They also went to a private school in Miami that enrolls students through the scholarship program. North Carolina ethics laws ban lobbyist gifts to lawmakers, making anything from a cup of coffee on up off-limits if a lobbyist or related person is using the gift to push an agenda. There are exceptions, and the N.C. Ethics Commission has allowed lobbyist groups to pay for trips when the purpose is to educate, and not influence, lawmakers and public servants. But those exceptions are granted on a case-by-case basis, and the ethics commission has repeatedly advised lobbyists and elected officials to seek guidance. Parents for Educational Freedom did not seek a formal opinion from the State Ethics Commission in advance of the March trip, but did draw up a 4-page memorandum of its own (available here) that told lawmakers the trip didn’t violate lobbying laws. 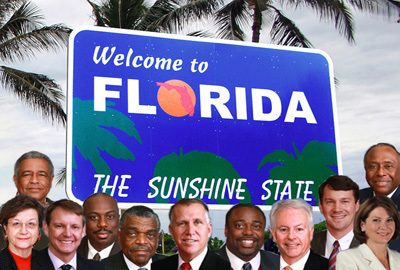 The memorandum also referred to another Florida trip the group arranged in 2008 for lawmakers to learn about school vouchers for special needs children. That trip paid off for PEFNC last year, when the N.C. General Assembly passed a law establishing the special needs voucher program in North Carolina. That three-sentence analysis determining the trip’s educational focus isn’t enough to absolve the group or lawmakers from their responsibility to follow ethics laws, Phillips said. “If there’s something of value provided, then it’s prohibited,” Phillips said. Several of the lawmakers on the trip said it was informative, but clearly planned to cast the Florida program in a favorable way. Parents for Educational Freedom has spent years trying to push the state to compensate families that educate their children outside of the public school system. On the trip were six Republicans and five Democrats: N.C. Reps. Blackwell, R-Valdese; Marilyn Avila, R-Raleigh; Marcus Brandon, D-High Point; Elmer Floyd, D-Fayetteville; Mike Hager, R-Rutherfordton, and Marvin Lucas, D-Spring Lake; and state Sens. Malcolm Graham, D-Charlotte; Kathy Harrington, R-Gastonia; Edward Jones, D-Enfield, and Dan Soucek, R-Boone. State Rep. Bryan Holloway, a Rockingham County Republican, was scheduled to be on the trip but canceled at the last minute, according to lobbying disclosure forms. The legislative staffer on the trip was Jason Kay, Tillis’ legal counsel. PEFNC didn’t initially disclose that it picked up the tab for Kay and two lobbyists when it filed a required expense report in April at the N.C. Secretary of State’s Office. Those expenses were publicly disclosed in a May 15 addendum filed after N.C. Policy Watch began asking questions about the trip. The Secretary of State filings did not list any expenses for Allison, a registered lobbyist for the group who went on the trip and required to report lobbying expenses to the state. Two unidentified North Carolina businesspeople also went to Florida, Allison said. He would not identify the two people nor the corporations but said they were included to show how the tax credit program could benefit the state’s business community. Publicly available lobbying expense forms at the N.C. Secretary of State’s office don’t make any mention of the corporate officials who accompanied the lawmakers on the trip. Jordan Shaw, Tillis’ spokesman, said PEFNC assured Tillis’ office that the trip did not break any ethics rules. “It was bipartisan, it was for educational purposes,” Shaw said. PEFNC was also asked to produce any ethics opinions it sought in reference to the March and 2008 trips, but have not provided anything to N.C. Policy Watch other than its in-house memorandum. The North Carolina Ethics Commission enforces the state’s ethics laws, but does not comment on specific situations. Much of the work the commission does is kept confidential, including ethics advisory letters lawmakers request from the commission. The public disclosure of the trip comes several weeks after two members of Tillis’ staff resigned after revelations they had intimate relationships with lobbyists, according to reporting by the News & Observer. Charles Thomas, Tillis’ former chief of staff, was engaged in a romantic liaison with a top lobbyist for the powerful N.C. Home Builders Association. Both he and the lobbyist left their jobs, and top Democrat lawmakers have since asked the Legislative Ethics Commission and the State Ethics Commission to conduct investigations. On Thursday, the News & Observer reported that Tillis approved a month’s severance pay, nearly $20,000 of taxpayer money, for Thomas and Amy Hobbs, the other Tillis staffer who resigned because of her relationship with a lobbyist. A few weeks after the lawmaker returned from Florida, several received campaign contributions from the school voucher proponents. Partners for Educational Freedom, a political-action committee associated with Parents for Educational Freedom, gave $11,250 to nine lawmakers in the months running up to the May 8 primary, according to the group’s first-quarter campaign finance filings. Of those nine lawmakers, six had gone on the trip (or were scheduled to be on the trip, in Holloway’s case). Together, they took in more than $9,000 from the lobbying group’s PAC with the bulk of the money coming in after the March trip. Among the contributions were $3,000 that went to Holloway’s campaign, $2,500 to Brandon, $2,000 to Soucek and $500 to Tillis. John Kirtley, a Tampa Bay venture capitalist who spoke to the group on the Florida trip and runs one of the scholarship foundations, also sent money to North Carolina after speaking with the delegation of lawmakers. Campaign records show he gave a total of $6,000 to the Partners for Educational Freedom PAC on April 11 and 13. He also sent $1,350 to Brandon on April 12. Brandon said he had contacted Kirtley after the trip for a campaign contribution, a routine he follows when meeting people that support his causes. The education exception to the lobbying gift ban is one the State Ethics Commission has clarified repeatedly in recent years approaching the issue by looking at meetings on a case-by-case basis. Comprehensive ethics reforms adopted in 2006 came to North Carolina after its political structure had been rattled by a sweeping corruption scandal that ended with one of the most powerful political leaders in the state, former Democratic House Speaker Jim Black, wearing a jumpsuit in a federal prison cell. The reforms were supposed to weaken the “pay to play” culture and end dinners where well-connected lobbyists paid the way of state lawmakers, and private gatherings that lobbyists used to push their agendas. The commission explained the difference between educating and influencing in a 2007 newsletter, writing that paying for lawmakers’ meals or to attend meetings meant to influence lawmakers on a current or future issue aren’t allowed. “If the meetings primary purpose is to influence a public servant, legislator, or legislative employee with respect to executive or legislative action (rather than educate them on a legitimate subject), the meeting is not ‘educational,’” the newsletter states. All in all, Brandon, the High Point lawmaker, said he thought the trip was beneficial, and allowed lawmakers to bridge some of the partisan divides that dominated last year’s legislative session. He also found it to be fairly run-of-the mill, with the overnight stay at a Hyatt hotel and no extravagant meals or events. Questions? Comments? 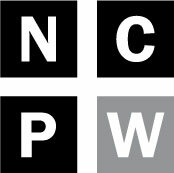 Email reporter Sarah Ovaska at sarah@ncpolicywatch.com, or call her at (919) 861-1463. Comments can also be sent to this blog post about the story.